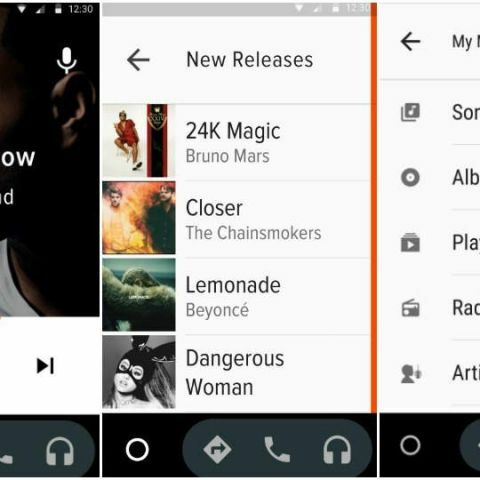 Gaana has announced that it has released an Android Auto version of its music streaming app. This would allow users to stream music via Android Auto on compatible phones, vehicles and aftermarket radios. The company notes that it is the first Indian music streaming app to integrate with Android Auto. ‘Gaana’, India’s largest music streaming app, has released an Android Auto version that will allow users to stream their favorite music via Android Auto compatible phones, vehicles and aftermarket radios. Android Auto allows anyone with an Android phone (running 5.0 or later) to use a driver friendly interface to access the key stuff needed on the road ― directions, communications, music, etc. ― without the distraction of things that aren't essential while driving. Gaana is the first Indian music streaming that allows users to experience a non-stop, distraction-free and safe music experience using Android Auto. Prashan Agarwal, COO, Gaana says, ‘Music is the biggest stress buster when driving, but access to just the right song or station, while simultaneously dodging traffic is not just frustrating, but downright dangerous. Gaana has brought the solution with its Android Auto integration. Allowing you access to your favorite music in a safe and delightful driver-friendly interface – So you can keep your eyes on the road and your hands up on the wheel,” laughs Prashan Agarwal, COO, Gaana. Users can now access their favorite Gaana songs and playlists from their Android Auto app, with a simplified interface, large buttons, and powerful voice actions. With full access to their personal music library on Gaana, users can play a song, personal playlist and even search for a song using voice commands. With voice enabled search, users can access over 15 million songs, 16 radio stations & 1000 other non-stop radio stations based on their mood, driving time, duration, etc. In the last one year, Gaana has released several new enhancements such as localization, recommendation engines, dual color themes, and added more payment option such as Citrus, Freecharge to continuously improve the music experience of its 50 million plus users. Music streaming is the 3rd most used service on the Internet and the Indian car market will become 4th largest automobile market in the world by 2020. Therefore, adding Android auto functionality is key to drive engagement amongst car users who largely listen to FM radio today. Gaana’s Android auto integration will provide a safe alternative to such listeners and will further strengthen Gaana’s dominance in the music streaming space.